Pointwise engineers have been developing CFD meshing software for over 30 years. At this conference we will discuss the technology behind Pointwise, why certain methods were developed, and the best ways to use them to efficiently produce meshes for accurate CFD simulations. Attend this free conference and explore the many ways Pointwise has become a worldwide leader in CFD preprocessing. Discover techniques for dealing with difficult CAD files and preparing them for meshing. Learn from our experience with CFD workshops and benchmarks. 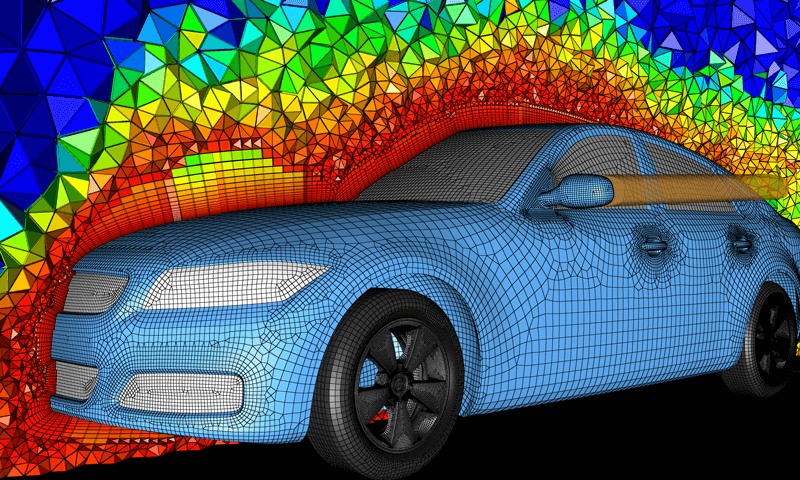 Review how others use Pointwise for demanding CFD applications. We will start with a brief history of Pointwise, Inc. and key developments over the years, followed by an introduction to the Pointwise software. 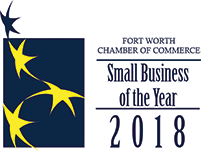 Focus areas will include its unparalleled structured meshing techniques, more recently developed unique capabilities like T-Rex anisotropic extrusion, methods for dealing with CAD and discrete geometry, and ways to automate meshing with Glyph scripts. In recent years, high order CFD methods have been an area of active research due to the potential of improved simulation accuracy at lower computational cost. 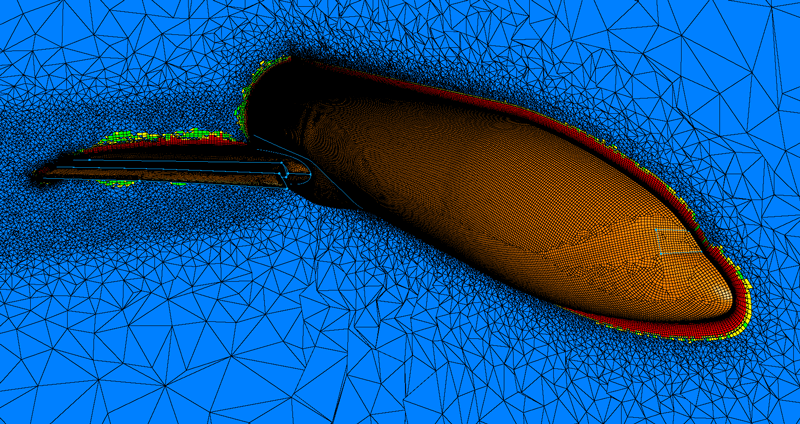 A number of AIAA workshops have demonstrated that high order meshing for CFD remains a significant obstacle to widespread adoption of high order technology. Pointwise is taking an active role in the field of high order meshing, with a focus on practical meshing of real-world configurations. 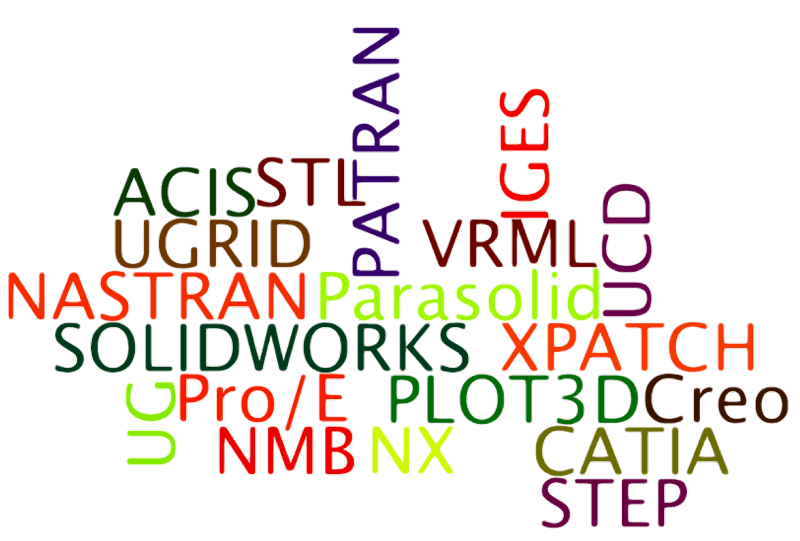 We will present the current status of Pointwise high order meshing, including examples on complex configurations. CFD results are increasingly used in early development stages to build, manufacture, and optimize virtual products before assembling physical prototypes. The success of such “digital” development strategies depends on the quality and reliability of the CFD results, and these, in turn, are largely controlled by the quality of the numerical grids. This presentation will highlight methods for quantifying the numerical errors and uncertainties of CFD results, increasing their reliability in product design. 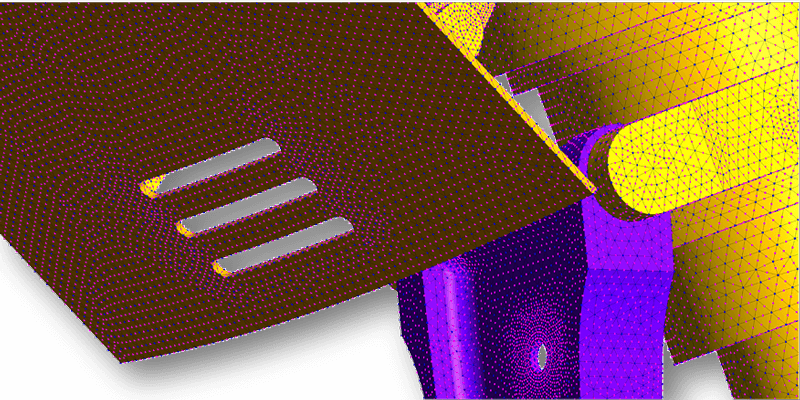 These methods require a sequence of numerical grids, with grid quality independent of mesh count, in order to work. The lecture will demonstrate a practical example of how this objective can be achieved using Pointwise meshing software. This presentation features an overview of the results and lessons learned from the 1st AIAA Geometry and Mesh Generation Workshop (GMGW). The 1st GMGW, held in conjunction with the 3rd AIAA CFD High Lift Prediction Workshop, provided a forum for participants across industry, academia, and government to meet and discuss their trade. Their collaboration allowed them to share the results and best practices related to CFD mesh generation techniques and processes. A group of 18 participants created mesh families for the NASA High Lift Common Research Model (HL-CRM), using both traditional and leading-edge techniques. The processes, resources, and challenges encountered were documented by participants, and addressed in a compilation of the results by workshop organizers. A good quality mesh leads in general to faster convergence and more accurate results. Pointwise offers various tools to create different types of meshes (structured, unstructured and hybrid). This presentation will focus on techniques for creating structured quadrilateral meshes in 2-D and hexahedral meshes in 3-D. The advantages of hexahedral elements over tetrahedral elements from a numerical point of view will be illustrated, along with ways to efficiently create multi-block structured meshes using either block assembly or extrusion. We will also cover block topologies that can be used to generate high-quality structured meshes for different geometries and how to use the elliptic solver to help improve mesh quality. FUN3D, the unstructured Reynolds-averaged Navier-Stokes code, has made strong contributions to the 3rd AIAA Propulsion Aerodynamics Workshop. 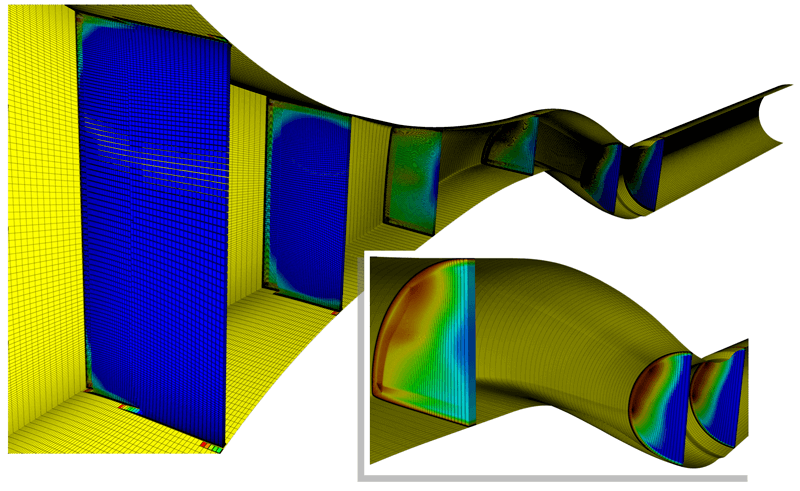 Focusing on three diffusing IFCPT S-Duct cases, we examine the effect of output-based, off-body grid adaptation as a key enabler for improved CFD predictions. Using workshop-supplied grids, comparisons can be drawn between the baseline results for the S-Duct, the S-Duct with Aerodynamic Interface Plane (AIP) rake assembly, and the S-Duct with flow control devices, and results of the test data computed in FUN3D. Pointwise Version 18 includes new features enabling unstructured quad-dominant surface meshing and hex-dominant viscous layer meshing. This presentation describes techniques for efficient utilization of the new meshing features. We will discuss the methodology behind the new tools, and demonstrate unstructured hexahedral meshing on complex configurations. Engineers at Pointwise have been developing CFD meshing software since the early 1980’s, but there is still much work to be done. This presentation will address both near term and long term development plans, focusing on the immediate problems that must be solved and longer range needs. We will discuss pertinent issues, such as higher-order CFD meshing, and mesh adaptation as outlined in the NASA CFD Vision 2030 study.